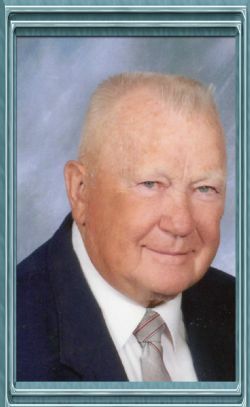 Col. Richard Thomas Lambert, 85, of Knoxville, passed away November 7, 2015 in Russellville. He was born April 12, 1930 in Pittsburgh, PA to Paul H. and Alice (Ward) Lambert. Col. Lambert served in the U.S. Army with 30 years of service and two tours in Vietnam. He was a member of Ducks Unlimited and Quails Unlimited. Richard enjoyed fishing, hunting. He managed the Senior Citizens Tax Program for 15 years. Col. Lambert served, with distinction, in key command and staff positions, for 30 years of exemplary service in the U.S. Army, with tours in Korea and two tours in Vietnam. Key Commands include: Battalion Commanders, 2nd Battalion 5th Air Defense Artillery (Quad 50/Duster). 2nd Field Forces, Republic of Vietnam (1968-1969) and Group Commander. 94th Air Defense Artillery Group, (Nike-Hercules); and 32nd Army Air Defense Command ( AADCOM) West Germany (1977-1979) Key Staff Positions include: Chief Lieutenant Colonels Branch, U.S. Army MILPERCIN, Alexandria, Virginia (1971-1973) and Chief of Security and Administration, U.S. Mission, North Atlantic Treaty Organization (NATO), Brussels, Belgium (1974-1976). Awards include: Defense Superior Service Medal, Legion of Merit (2 0ak Leaf Clusters), and Bronze Star Medal (2 0ak Leaf Clusters). Col. Lambert is preceded in death by his parents; one brother, three sisters, and one grandson, Richard Thomas Lambert III. He is survived by his wife, JoAnn (Graham) Lambert of Knoxville; sons, Rick Lambert of Knoxville and Kurt Lambert of Madison, AL; daughter, JoAnn Marie Lambert of Fairfax, VA; grandchildren, Aubry and Brady Smith, Jeb and Gladys Lambert, Jefferson Lambert, Shannon Lambert and Andrew Cowell, Megan Lambert, Kurt Lambert II and Graham Smith; and four great-grandchildren. Col. Lambert�s memorial rosary service will be held at 9:30 a.m. Saturday, November, 21, 2015 at Saint John Catholic Church followed by a memorial Mass with Father Ernest Hardesty officiating and Concelebrant Father Jack Sidler. Burial will follow in the spring at Arlington National Cemetery in Arlington, VA.